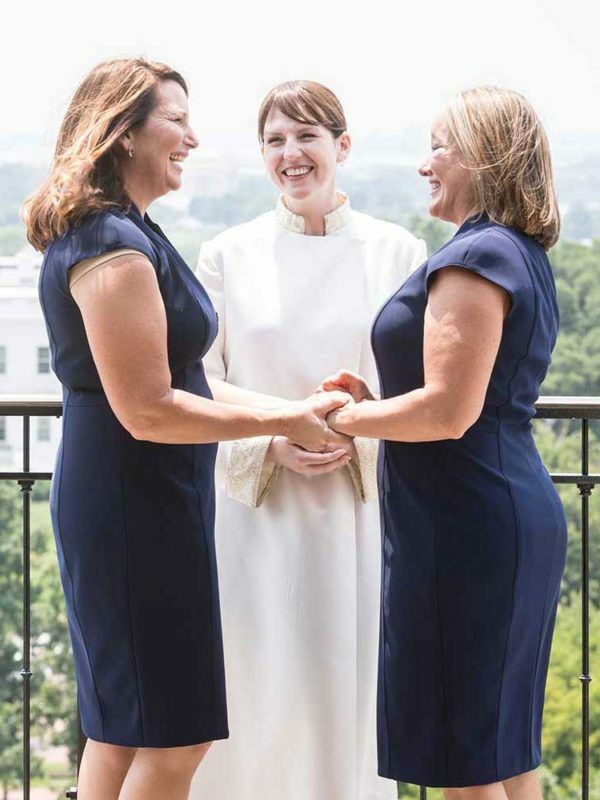 Get Married in Our Nation's Capital! 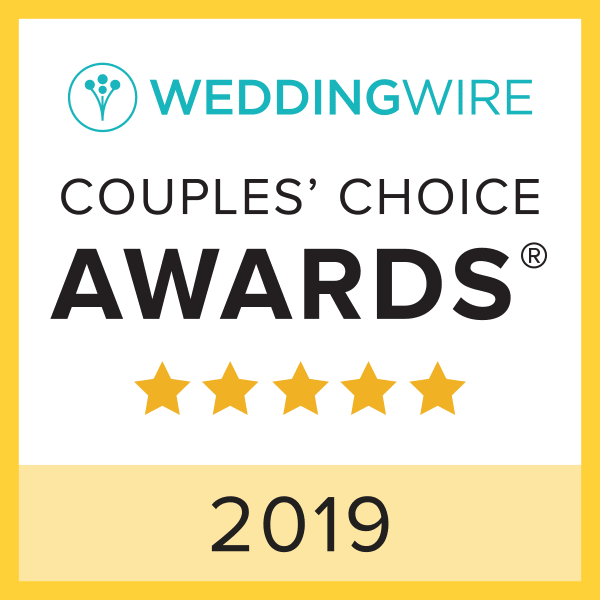 DC Elopements® makes getting married in DC easy and convenient - we offer a wide range of services, from simple marriage license signings to premium elopement ceremonies with professional photography. 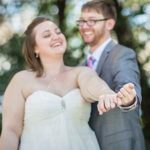 Whether you want to book an elopement package or just need to get legally married in DC, we have a service level to fit your needs and your budget. We pride ourselves on making it simple and convenient to get married, from secure online reservations and payments to next-day rush service. Want to learn more? Here's how it works. 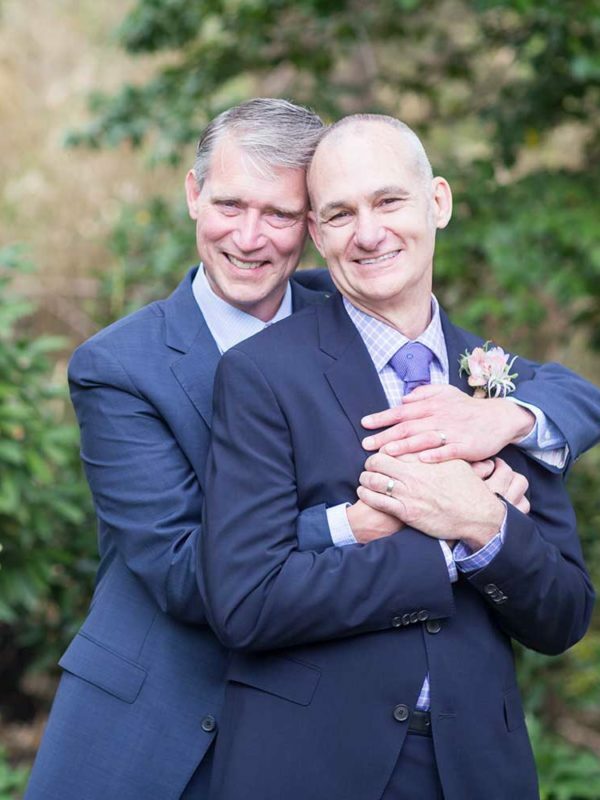 Deciding to elope in DC shouldn't be stressful — isn't that the point? 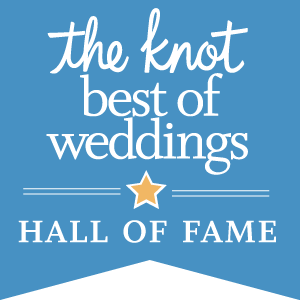 Our professional, friendly staff performs over 500 marriages each year and we never leave our couples wondering whether they made the right choice. We've earned an impeccable reputation for high-quality, professional, reliable service and have the reviews and awards to show for it. We're all about love — supporting it, sharing it, and celebrating it! Whatever your reasons may be for getting married in DC, we have a service level to fit your needs and your budget. Best of all, you'll be working with a friendly, responsive staff that really cares about giving you a great experience working with our company — no matter which marriage service you use. If you're interested in getting married in Washington DC, there's no easier way than with DC Elopements®. Our simple, step-by-step online booking process and easy-to-understand elopement packages were created to make your experience a breeze. Ready to learn more? 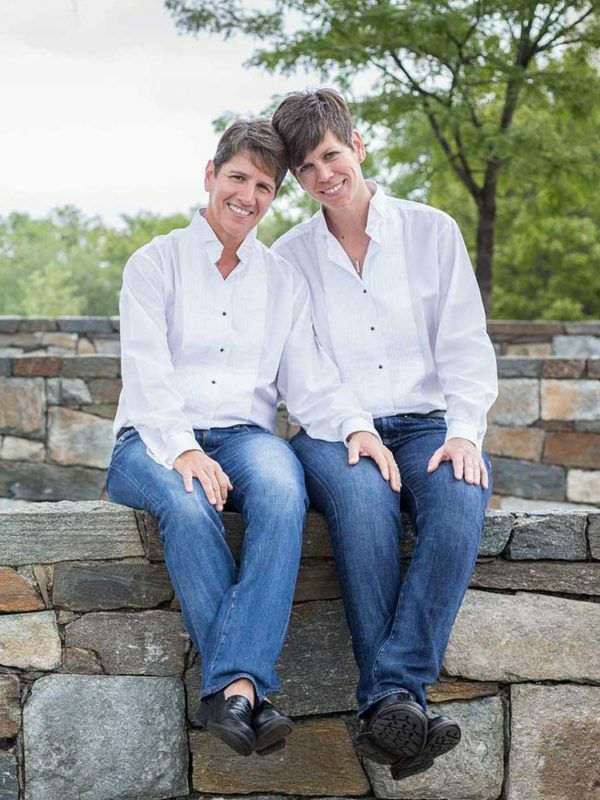 Getting married in Washington, DC is easy, even if you're planning from a distance. In fact, more than half of our couples travel here from somewhere else around the country or around the globe. 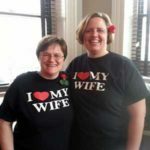 DC's marriage laws allow for Marriage Application by Proxy, which means we can have your DC marriage license prepared and ready before you even arrive, and you never need to set foot in the DC courthouse. We live out of the country and it is really hard to organize a wedding ceremony from abroad... everything was easy and fast! We are so grateful we were able to get married on the day we wanted, otherwise we would've been waiting until next year! We had a great experience with DC Elopements! Overall this was a great experience, and exactly the simple sort of wedding that we wanted! 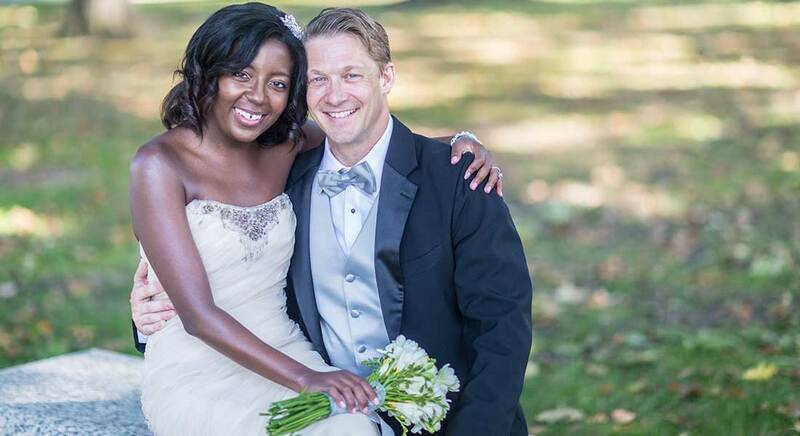 Welcome to DC Elopements! 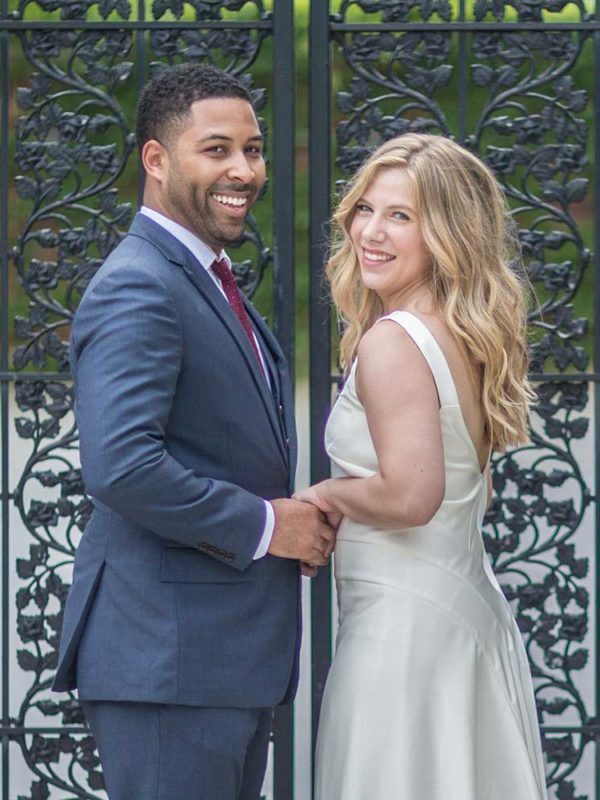 We are a marriage services company based in the DC area, offering elopement planning and coordination, DC officiant services, wedding photography, and marriage license services. We pride ourselves on providing excellent customer service (just look at our reviews!) and our company is known in the Washington, DC area for our professionalism and convenience. 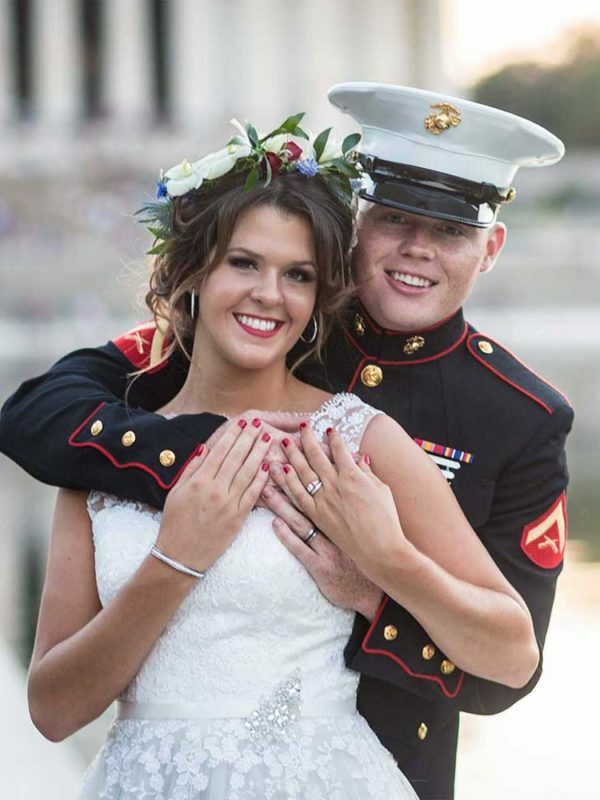 We offer a number of marriage services for couples interested in getting married in our nation’s capital, from full-scale elopement packages to simple marriage license signings. 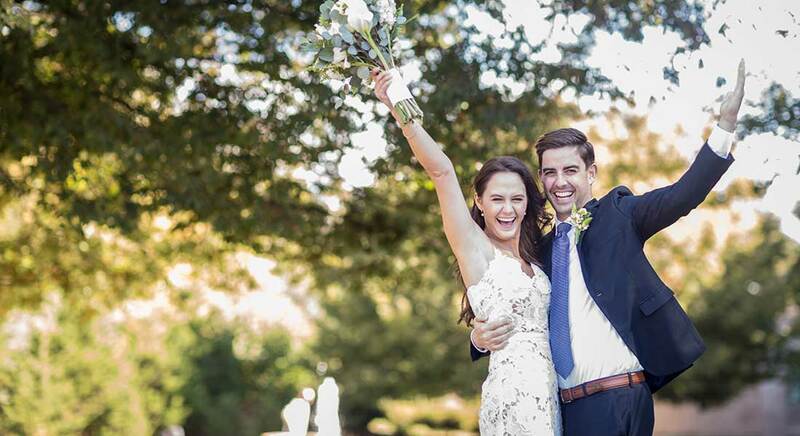 Washington, DC is a wonderful place to get married, whether you’re hosting a 300-guest wedding or a simple elopement ceremony. Elopement Experiences™ — For couples who want a gorgeous, all-inclusive elopement package with all of the details handled for them, our premium packages include location scouting and acquisition, photography, officiant services, flowers, hair and makeup, and marriage license procurement. 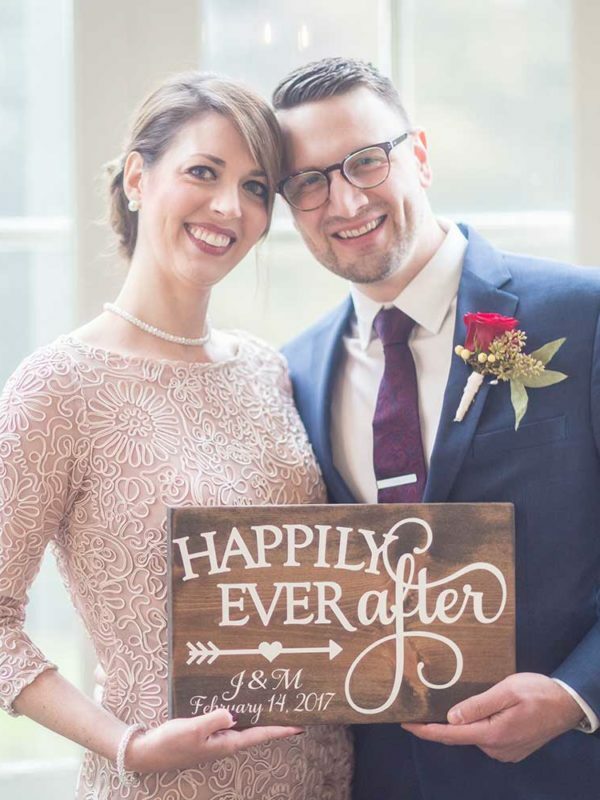 Simple Elopements — For couples who just want a small, intimate elopement ceremony, we offer wedding officiant services anywhere in the district with optional photography. Legal Marriage Services — We offer several a la carte options for legal marriage services in DC, including our popular Express Marriage license signing service. 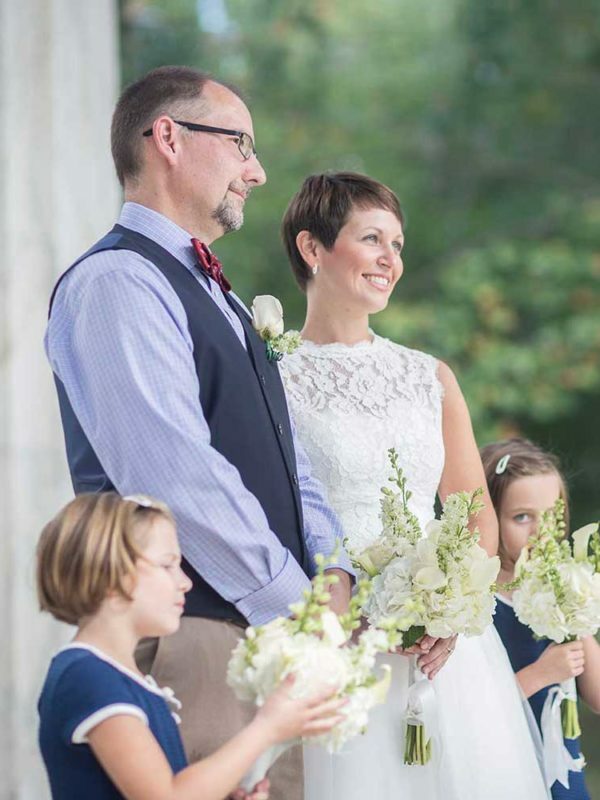 DC Officiant Services — For couples who are planning a full-scale wedding ceremony and reception, we offer professional officiant services with fully customized ceremonies. 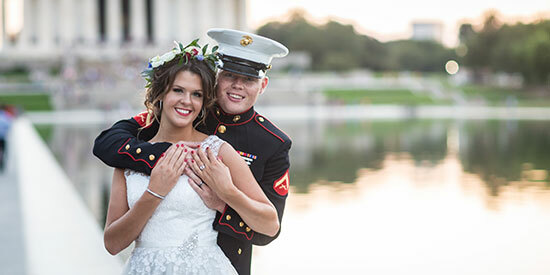 DC Marriage Application by Proxy Service — For couples traveling to Washington, DC, or for those who don’t wish to spend their time waiting in the DC Marriage Bureau, this service is a hassle-free way to ensure your marriage application is submitted correctly and obtained quickly. 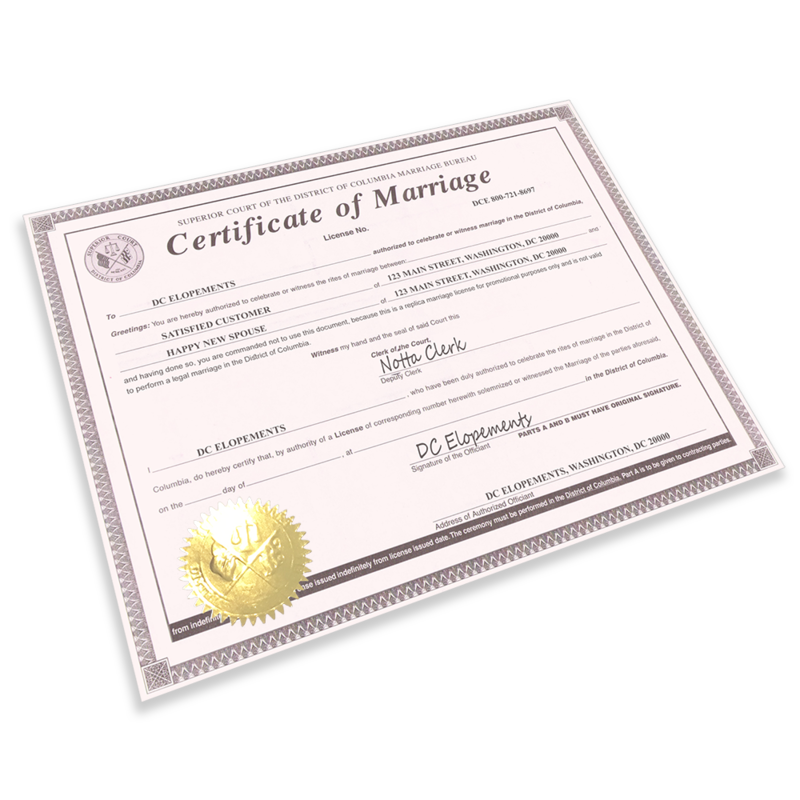 Expedited Marriage License Certified Copy Service — For couples who need to obtain certified copies of their DC Marriage License, we offer hand-delivery and pickup a the DC Superior Court and trackable shipping to ensure you get your copies quickly and securely. 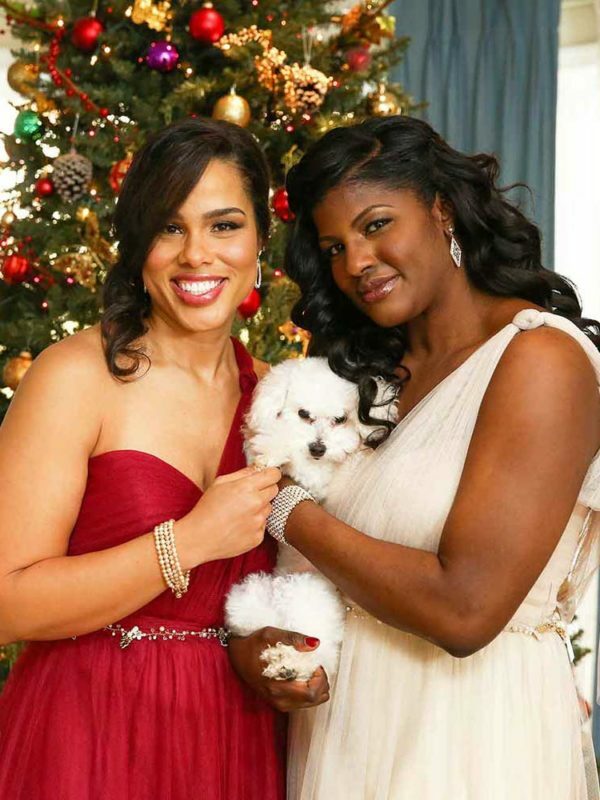 Check out our Articles for the latest news and information on eloping in Washington, DC. If you need information or advice for filing an application for a marriage license in Washington, DC, please visit our DC Marriage License page for up-to-date instructions and requirements. The Superior Court of the District of Columbia offers a number of options for marriage licenses, both for local residents and for couples traveling from other areas, and we have several services to help you obtain and file your license. 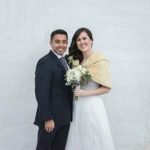 If you have additional questions, or to get more information on our elopement services in Washington, DC, contact us today – we look forward to speaking with you!